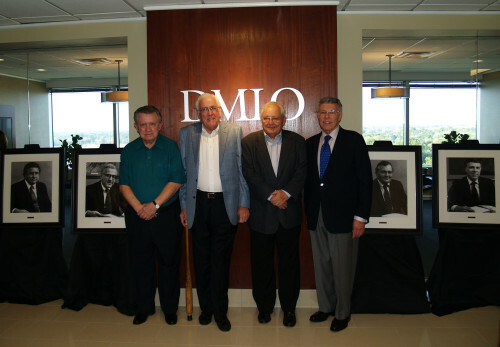 Forty plus years ago, the founders of Deming Malone Livesay & Ostroff – Joel Deming, Bill Malone, John Livesay, and Armand Ostroff – chose to create a local, independent ‘Louisville original’ firm that would do business differently, and have a significant impact on our community in the process. They embarked on a more client-focused approach, setting themselves apart with a level of personal service, expertise and integrity that continues to set the standard today. Rather than seeking rapid growth with a goal of becoming one of the largest firms in the nation, we are focused on being the best in our region, in ways that really matter, not just size or profit. Fun fact: The order of our firm name was chosen the way post positions are chosen in the Kentucky Derby; the group was relieved when it did not result in the initials MOLD! Giving back is a big component of our ‘why.’ Our tagline More than the Numbers reflects our belief that our purpose and value extends far beyond simply reporting on financial results or calculating tax liabilities. It is seeing the big picture and being fully invested in the dreams and goals of those we help, adding our expertise and experience to the mix to achieve much MORE than businesses might accomplish on their own. Whether that takes the form of applying specialized industry knowledge, offering valuable business perspectives gained through success stories, or rolling up our sleeves and helping renovate a home, wash windows, or bowl for a great cause, we are there to make an impact. #DMLOCares is such a part of the culture here that we’ve been honored multiple times by Business First as one of the Top 10 Louisville Partners in Philanthropy among medium-sized (<$50 million) companies, not only for our financial impact but for our 2,200+ annual volunteer hours.